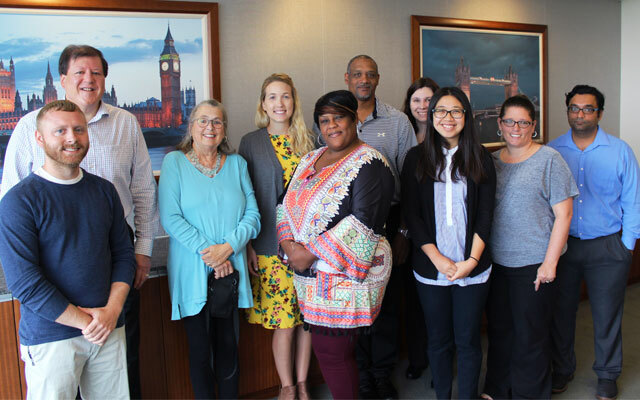 Legal & General America's Charitable Giving Campaign kicked off October 23rd, which began two weeks of fundraising events. The 2017 featured charities included ThanksUSA and Heartly House, Inc.
ThanksUSA provides need-based college, technical and vocational school scholarships and pathways to meaningful employment for children and spouses of U.S. military personnel. Heartly House is the only organization in Frederick, MD that provides comprehensive services to survivors of domestic violence, sexual assault, and child abuse. Services include a 24-hour hotline, emergency shelter, individual and group counseling, victim advocate services and legal representation, medical advocacy, abuse intervention groups, community outreach and professional education. Legal & General America employees, with help from the community, raised approximately $482,000, exceeding the $380,000 goal. Employees were able to pledge to the charity of their choice, while in-house fundraising events benefited the featured charities. Legal & General America matched the amount raised, so in total $964,000 was donated to hundreds of different charities. Over $68,000 in donations were split between ThanksUSA and Heartly House. The compassion and generosity of Legal & General America's employees during the Charitable Giving Campaign reflect their profound gratitude for the service and sacrifice of America's military families.